Gas Safety Week is an annual safety week that aims to raise awareness of gas safety and the importance of taking care of your gas appliances. Now looking forward to its fifth year in 2015, it is co-ordinated by Gas Safe Register with support from the gas industry including retailers, manufacturers, consumer bodies and the public. Have you pledged your support yet? 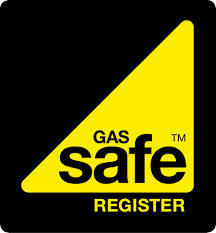 Gas Safety Week is a national safety campaign to raise awareness of gas safety in the UK’s 23 million gas fuelled homes. It is co-ordinated by Gas Safe Register with support from the gas industry including retailers, manufacturers, consumer bodies and the public. Pledge your support here, and we will keep you up to date on how you can be part of this nationwide safety campaign. More information on GAS SAFETY WEEK 2015 can be found here.